Most of the countries that still experience Communist regimes are struggling under the repression of human rights and religious freedom. 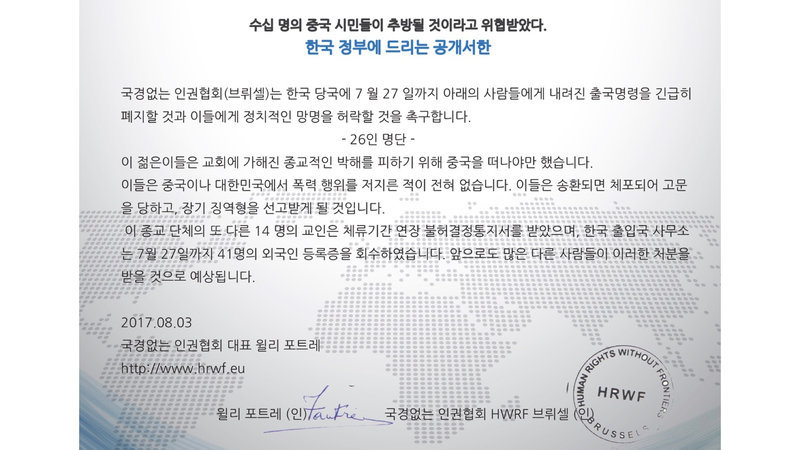 This Website is devoted to preserve the texts and images of the successful conference Religious Persecution and the Human Rights of Refugees that was organized by The Citizens’ Coalition for Human Rights of Abductees and North Korean Refugees (CHNK) and Human Rights Without Frontiers (HRWF) in Seoul, Korea, on October 23, 2017. 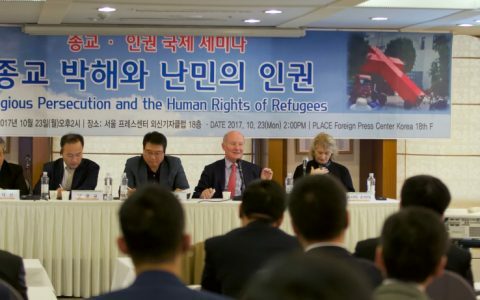 The conference focused on North Korean refugees in China and on Chinese refugees fleeing religious persecution and seeking asylum in South Korea and elsewhere. 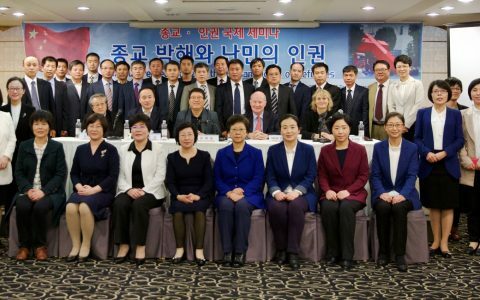 A case study of refugees from the Church of Almighty God, who are severely persecuted in China, and seek refugee status in South Korea and other countries, was also presented, and witnesses who personally experienced the persecution told their story. Conference speakers included Professor Massimo Introvigne, an Italian sociologist, Ms. Rosita Šorytė, a Lithuanian diplomat currently on a sabbatical from her work, Mr. Nam Kwang Kyu, a research professor at Korea University, and Mr. Kim Tae San, a former North Korean diplomat in the Czech Republic. 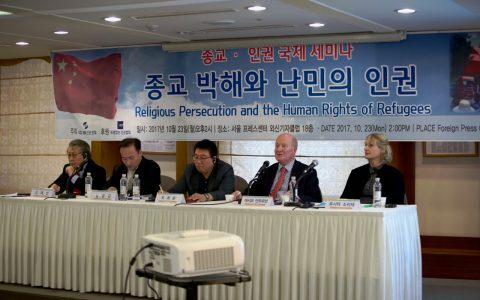 The conference urged international organizations, states, and human rights organizations to secure the faithful implementation of international law provisions on religion-based refugee claims, which too often are disregarded in South Korea and elsewhere within the framework of a general climate of suspicion and intolerance against refugees. 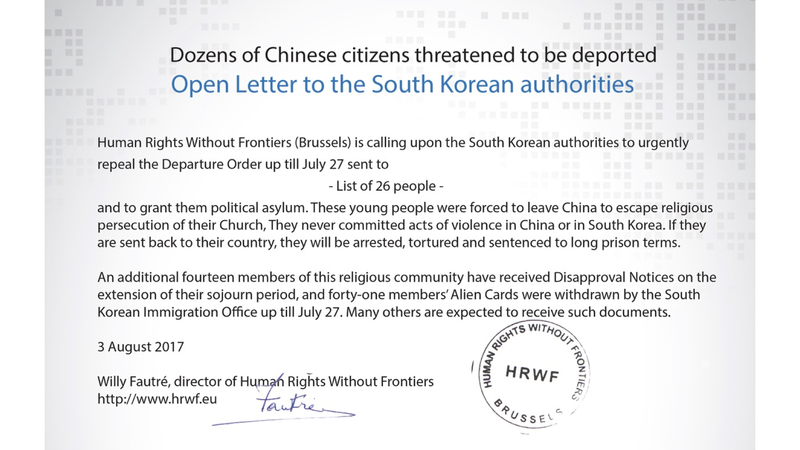 The asylum seekers persecuted for their religion live in a dramatic situation, risk further persecution or even death if they are returned to their countries, and deserve the international community’s unreserved solidarity.